I made this for a football watching evening and enjoyed pulling pieces off the hot loaf for most of the game. It was buttery, salty, melty goodness wrapped in warm bread. Yum. Take a bread loaf and slice it across both directions. Be careful not to cut all the way to the bottom. Put these ingredients into the cracks of the bread. I used shredded cheese because it is what I had and it worked fine. 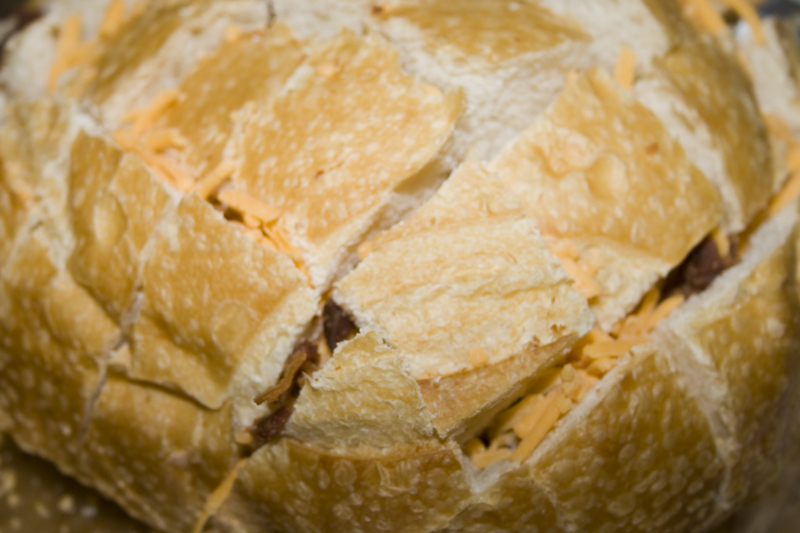 I do think the sliced would be better though as it would help the cheese stay on the upper part of the bread and not just sink to the middle/bottom. 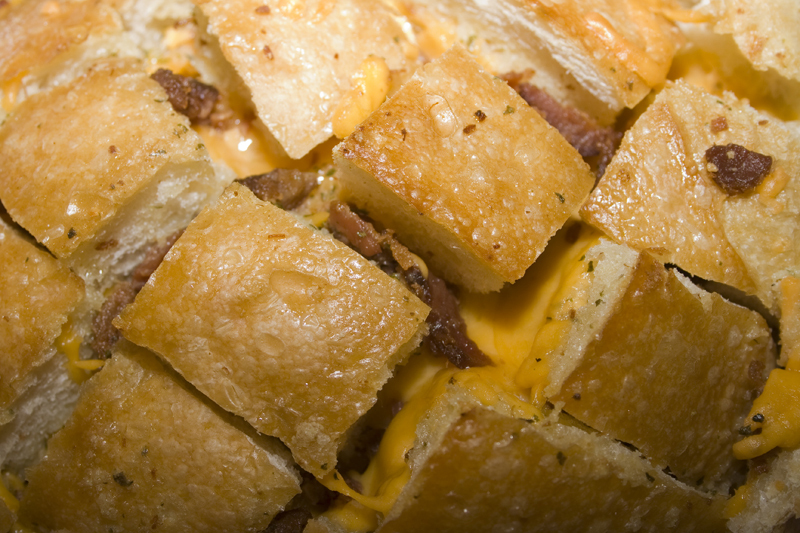 After sprinkling the cheese and bacon. 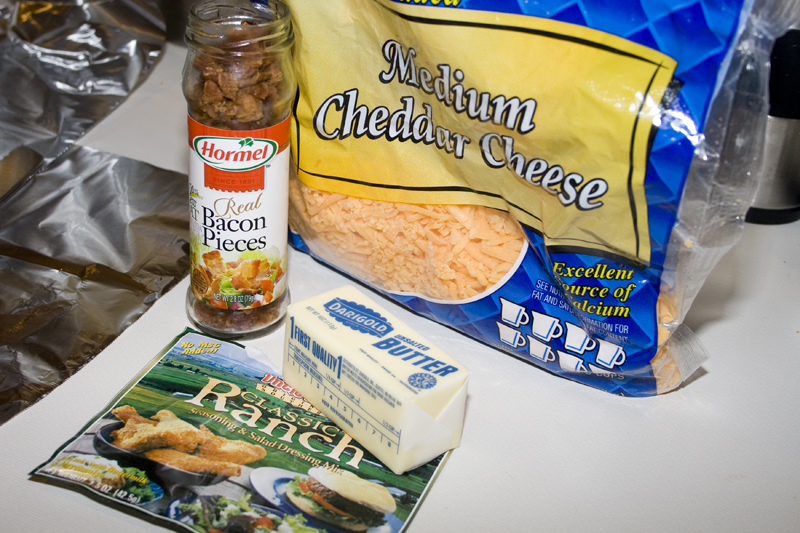 Melt the butter and add it to 1 T of the ranch dressing mix. Drizzle, cover and bake. 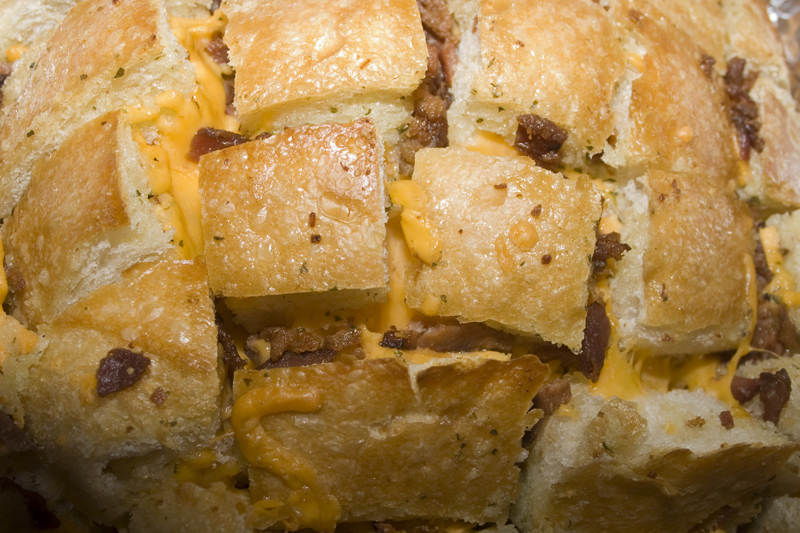 Try not to eat the entire loaf yourself. Pretty sure Shaner would go nuts over this. Thanks for the recipe, going to try it this weekend. I do like bacon and butter! This recipe is great – I just thought I should have it for lunch tomorrow! I just have to buy some bacon or I`ll replace it with ham? Mmmh … maybe! So deliciously bad. Darn you Pinterest. I made this last night but used the round Hawaiian bread instead of sourdough. 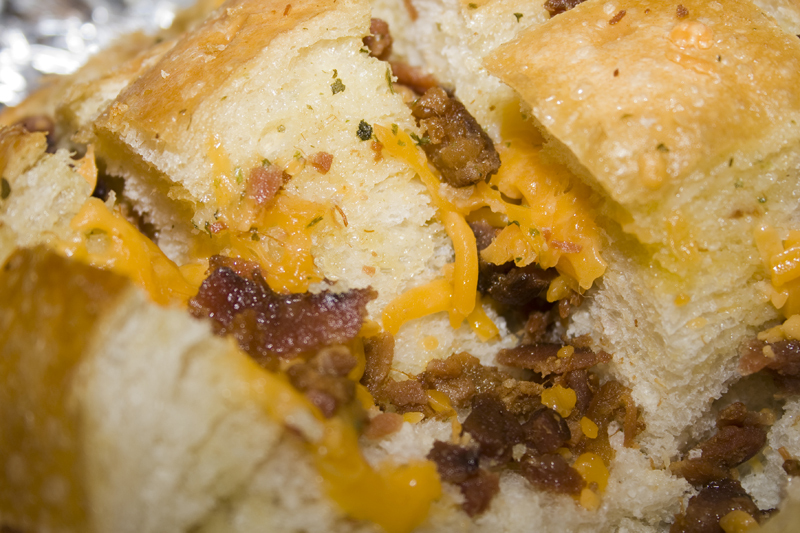 And, I added grilled chicken to make it a chicken, bacon and ranch “crack bread”. Planning on trying a few other versions yoo….reuben, chicken cordon bleu, etc. I have made this using sourdough, butter, chopped green onions, and monterey jack cheese. It is definitely gonna be marked a favorite recipe! It even tastes good reheated the next day. Just wrap in foil and throw back in the oven. Oh my!! !